Law Firm Offices | Manhattan commercial real estate for attorneys, laywers, or legal professionals. Our brokers have been assisting law firms with their office needs for over 16+ years and counting. We can save you time by culling down only the appropiate offices which match your budget, image, and time table. As teneant brokers our fiduciary responsiblity is with you the tenant - and NOT the landlord or their representatives. 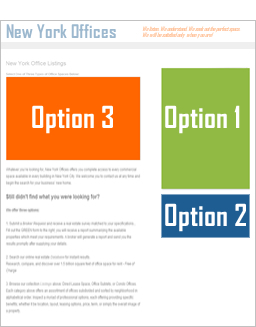 Option #1: Broker Assisted Search We will put together an office space report detailing all the viable spaces available based on your criteria. Option #2: Online Database Updated daily - gain instant insight and see what's readily availavaible on the market yourself! Option #3 Featured Space Listings below offers a snapshot into the available commercial properties which either host other law firms / professionals - or are best suited for a legal practice. Chelsea Office Space for Lease 10,000 SF. Chelsea Office Sublet for Lease 3,500 / 4,500 / 8,000 SF. Chelsea Office Sublet for Lease 1,500 / 3,000 / 5,500 SF. City Hall Office Space for Lease 1,300 SF. Columbus Circle Office Space for Lease 4,000 SF. Downtown Office Space for Lease 18,000 SF. Financial District Office Space for Lease 15,000 SF. Financial District Office Space for Lease 16,000 SF. Grand Central Office Space for Lease 7,500 SF. Grand Central Office Space for Lease 8,500 SF. Manhattan Midtown "East" 800 SF. Manhattan Midtown "East" 3,500 / 4,500 / 6,500 SF. Manhattan Midtown "East" 3,428 SF. SOHO Office Space for Lease 10,000 SF. Times Square Office Space for Lease 9,000 SF. Fill out the GREEN form to the right; you will receive a report summarizing the available properties which meet your requirements. A broker will generate a report and send you the results promptly after supplying your details. 2. Search our online real estate Database for instant results. Research, compare, and discover over 1.5 billion square feet of office space for rent in the following areas; Chelsea, City Hall, Financial District, Flatiron, Garment District, Grand Central, Greenwich Village, Madison Avenue, Murray Hill, Park Avenue, Noho, Penn Station, Rockefeller Center, Tribeca, Upper East Side, Upper West Side, Wall Street, and World Trade Center. 3. 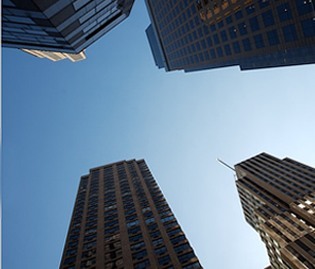 Browse our collection Listings above: Direct Lease Space, Office Sublets, or Condo Offices. Each category above offers an assortment of offices subdivided and sorted by neighborhood in alphabetical order. Inspect a myriad of professional options, each offering providing specific benefits; whether it be location, layout, leasing options, price, term, or simply the overall image of a property.